It’s part basketball hoop, part arcade machine and all awesome! Get the Buzzer Beater Free Throw Machine for endless amounts of fun and competition! 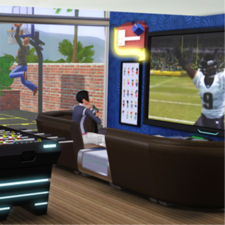 Put two of these machines next to each other to challenge other Sims and build your Sim's Athletic Skill. 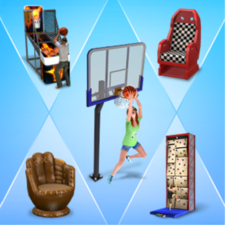 Light up the Arcade Hoops by getting enough baskets in a row with the new “Burnin’ Up the Hoops” moodlet! Place two machines side by side and challenge other Sims to one on one hoops action!